We describe here the recent developments about the involvement of diverse stress-related proteins in sensing, signaling, and defending the cells in plants in response to drought or/and heat stress. In the current era of global climate drift, plant growth and productivity are often limited by various environmental stresses, especially drought and heat. Adaptation to abiotic stress is a multigenic process involving maintenance of homeostasis for proper survival under adverse environment. It has been widely observed that a series of proteins respond to heat and drought conditions at both transcriptional and translational levels. The proteins are involved in various signaling events, act as key transcriptional activators and saviors of plants under extreme environments. A detailed insight about the functional aspects of diverse stress-responsive proteins may assist in unraveling various stress resilience mechanisms in plants. 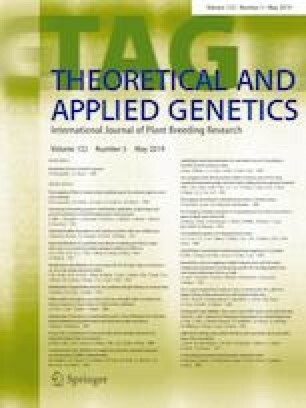 Furthermore, by identifying the metabolic proteins associated with drought and heat tolerance, tolerant varieties can be produced through transgenic/recombinant technologies. A large number of regulatory and functional stress-associated proteins are reported to participate in response to heat and drought stresses, such as protein kinases, phosphatases, transcription factors, and late embryogenesis abundant proteins, dehydrins, osmotins, and heat shock proteins, which may be similar or unique to stress treatments. Few studies have revealed that cellular response to combined drought and heat stresses is distinctive, compared to their individual treatments. In this review, we would mainly focus on the new developments about various stress sensors and receptors, transcription factors, chaperones, and stress-associated proteins involved in drought or/and heat stresses, and their possible role in augmenting stress tolerance in crops. The first author (MP) is thankful to CSIR-UGC, New Delhi, India, for financial support in the form of a fellowship. The corresponding author is thankful to DST, New Delhi, for PURSE grants and University of Western Australia, Australia, for financial support.